While I get bogged down in the details of how and when North Korea makes something go boom, the smart and much more diplomatic Sarah Bidgood takes a crack at understanding what President Trump’s statement at the UN General Assembly will do for multilateral negotiation. I am assisting Dr. William Potter with a graduate-level course that simulates the 2018 Preparatory Committee for the 2020 Nonproliferation Treaty Review Conference. This week, we focused on Lessons for Negotiations. We reviewed strategies that students can use to promote their national objectives while working to forge consensus. It was with this discussion in mind that I read the statement that US President Donald Trump delivered at the 72nd Session of the United Nations General Assembly on September 19th. While the content of his remarks raised major concerns among experts and the general public alike (the threat to “totally destroy” North Korea is especially worrying), I was struck by the insights it provides into Trump’s approach to international diplomacy. If this statement is any indication of the posture that the US will assume in multilateral negotiations on, say, nonproliferation issues, it will be very difficult for the UN Member States to effectively address new and evolving challenges based on the following observations. Trump’s statement lacks concrete proposals. In multilateral negotiations, national delegations further their positions by lobbying for specific language or actions they wish to see endorsed. From this standpoint, Trump’s statement is limited in its utility. The portion of his remarks devoted to North Korea and Iran is nearly devoid of operative clauses—he calls for the world to “do much more” to “isolate the Kim regime,” for example, but recommends no specific steps for the international community to take. Trump has used ambiguity to keep other parties guessing about his intentions in the past, but this is an ineffective negotiating tactic in the long run. 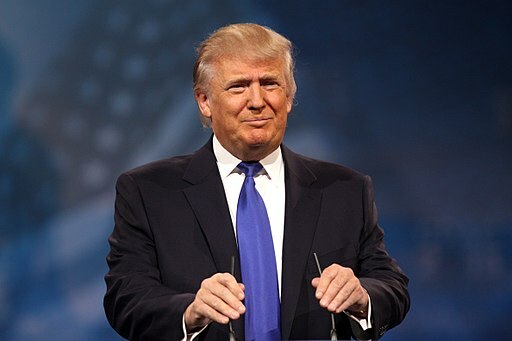 Moreover, if the US focuses more on dismantling negotiated policy (as it is doing with the Iran deal) than proposing constructive alternatives, Member States will pursue their own nonproliferation and disarmament objectives without the US, as they did in the case of the Treaty on the Prohibition of Nuclear Weapons. This outcome will both undermine the credibility of the United States and diminish its ability to influence multilateral policy. Trump’s language flouts diplomatic norms. While the vocabulary and ceremonial language of the UN can feel stilted and overly-formal, they help to keep negotiations on track and prevent them from descending into ad hominem attacks. Trump’s statement departs from this norm. However, unlike at his rallies, where his audience is comprised of domestic supporters who embrace his inflammatory rhetoric, the UN is far from sold on Trump or his policies. Referring to the North Korean leader as a “rocket man” on a “suicide mission” in this context therefore both hurts the image of the US and affirms Trump’s outsider status in the world of diplomacy. Not only is this language unlikely to be effective in compelling North Korea to denuclearize, it will never form the basis for any type of broad consensus. In his remarks, Trump makes little effort to secure the buy-in of key states. Whether in a voting body like the UN General Assembly or a consensus-based forum like the NPT, all parties—including the US—need some multilateral support to advance their positions. Trump’s remarks on the Iran deal indicate that he does not subscribe to this viewpoint. Although his statement emphasizes that “it’s in everyone’s interest to seek a future where all nations can be sovereign, prosperous, and secure,” he later calls the JCPOA “one of the worst and most one-sided transactions the United States has ever entered into.” This characterization ignores the fact that a majority of UN Member States view the peaceful use of nuclear energy—which the JCPOA affords Iran—as an inalienable sovereign right. Trump’s position on the deal is already unpopular, including with US allies, and this framing can only make it more so. This suggests that he and his advisors either do not care if they have multilateral support for US positions or do not know how to cultivate it. Either explanation augurs poorly for negotiations in the General Assembly and the 2020 NPT review cycle, where major differences in national positions will make finding common ground difficult anyway. If Trump’s statement is any indication of the approach that the United States will use in nonproliferation and disarmament negotiations moving forward, I foresee a widening of existing divisions between Member States that will limit their ability to achieve effective outcomes. This is an alarming prospect in the face of security challenges that require coordinated, deliberate efforts from the international community—including the US—to address. What remains unknown, however, is whether we should read Trump’s remarks as a reflection of his personal style as a negotiator—a businessman with little experience in the iterative process of multilateral negotiations—or of the “America First” approach to foreign policy that his administration will seek to advance. In either case, Trump’s statement has already elicited strong reactions from other states, including North Korea, and the General Debate not yet over. To paraphrase Trump himself, we probably have not heard the last of it.